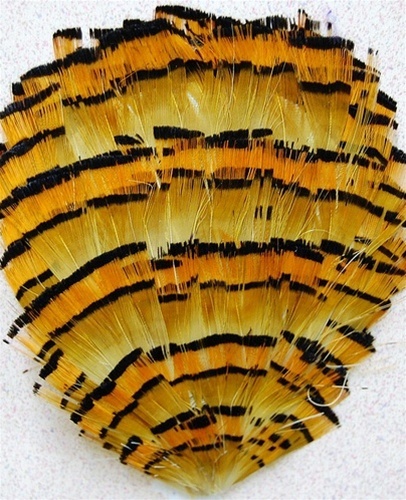 Golden Pheasant Pad. 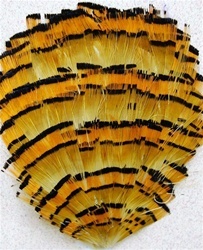 A Natural Golden/Orange feather with some Iridescent stripping. Popular in Millinery, Headbands, Crafts and Fashion. Also used in various other accsesories. Sold by the DOZEN only.